antenna was installed on the East tower. Cushcraft XM240 2 element 40 assembly. This antenna is now on the South tower. XM240 element to boom clamp. The antenna is painted with aluminum paint for WX. 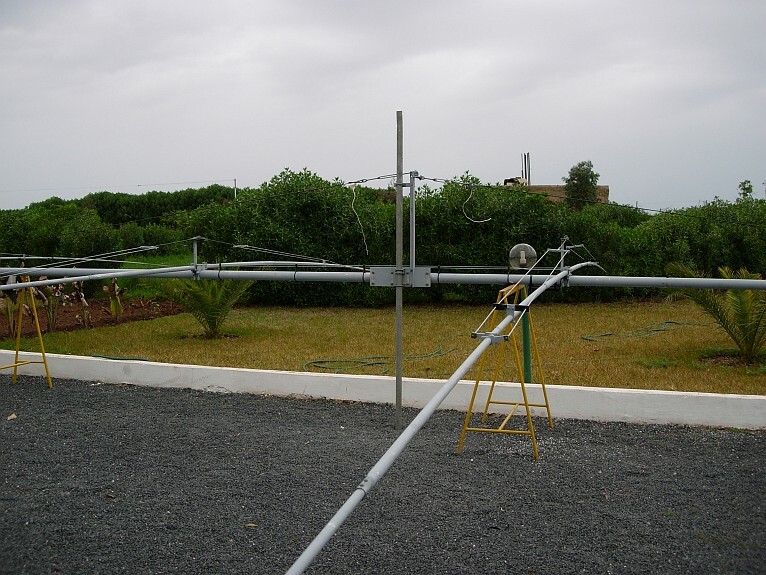 M2 40M4LDD 4 element 40 antenna assembled iin Morocco. 4 El 40 meter element guy with support for linear loading. 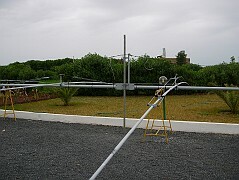 Linear loading 4 El 40M insulator. 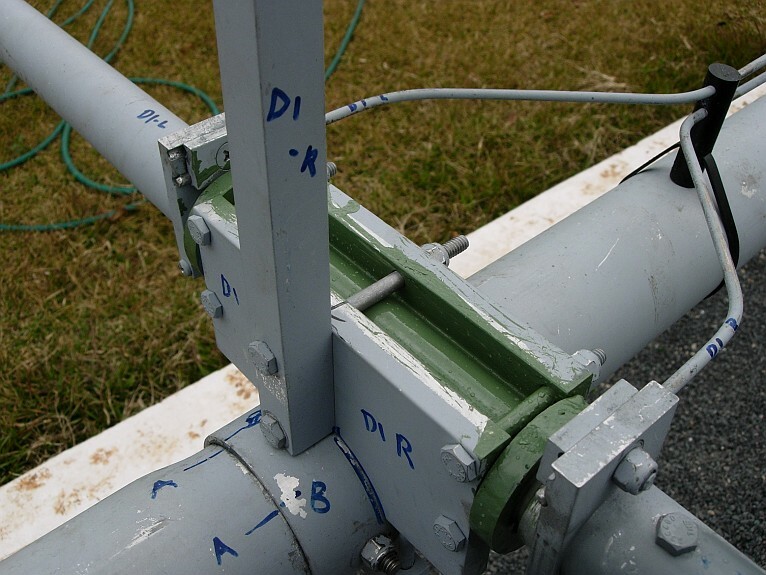 The green paint is good for high voltage and WX. 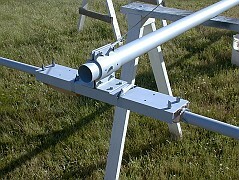 4 El 40M element showing the linear loading.